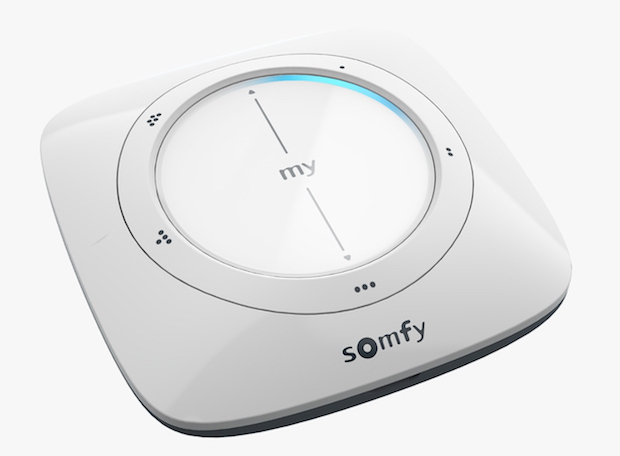 According to Somfy the solution makes it easy for you to get more natural light and maximize comfort and well at home. The TaHoma app monitors visual comfort, privacy. Scenes can be created for a more comfortable experience, incorporating lighting and music elements. Create a personalized scene to capture a favourite home ambiance and launch from your smartphone or a local scene launcher. If you’re planning a get together with friends, you can create a party scene that lowers your shades, plays your party playlist and triggers coloured lighting. Or if you’re ready for movie night, launch your movie scene to dim the lighting, turn on the television and lower your shades and draperies. “For a more natural wake-up, for example, slowly-opening shades to gradually let daylight in paired with smart-plug lighting that gently increases brightness can be designated to occur at 7:00 AM every morning. And that’s only one of the advanced functions available with this new motor range,” said Alex Keichinger, Connected Solutions Business Development Manager of Somfy North America. All types of interior window coverings can be motorized: roller shades, pleated and cellular shades, roman shades, venetian blinds, sheer horizontal shades, layered shades and curtains. Somfy motors operate silently and now offer the ability to know the exact position of your shades anytime, anywhere, thanks to the bi-directional Zigbee 3.0 radio protocol. They also exist in wired and battery-powered versions. Connectivity of these motors is via the TaHoma radio gateway, which also supports all existing Radio Technology Somfy (RTS) motors. The gateway itself connects to the same cloud-based platform as the one that has powered Somfy connected solutions for more than seven years. Enjoy out of the box compatibility with Amazon Echo+. Also, in the pipeline is support for other major connected platforms, such as Amazon Alexa, Samsung Smartthings, IFTTT, Apple HomeKit, as well as third-party devices, such as Philips Hue or Sonos.